Isabelle Huppert as Michèle. Photo by Guy Ferrandis/ SBS Productions, Courtesy of Sony Pictures Classics. 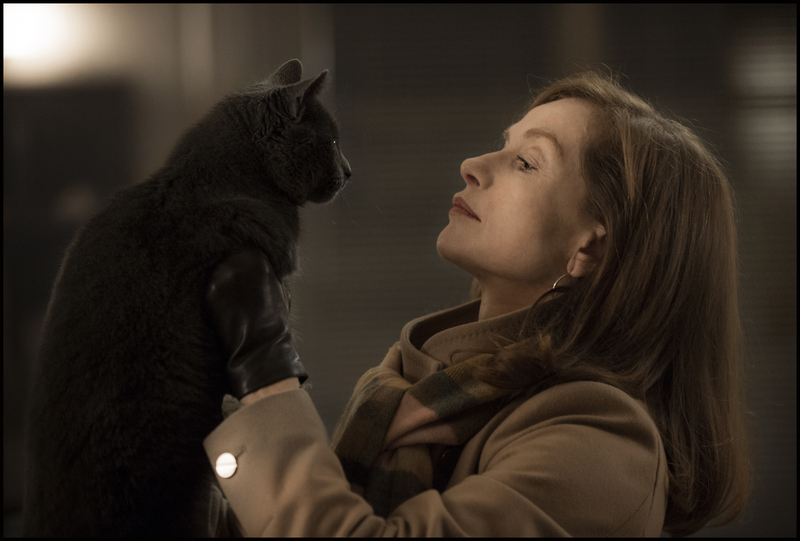 Elle directed by Paul Verhoeven brings back the most favorite film genre – a psychological thriller with the best element of a-cat-and-mouse-game between the victim and villain. Great French actress Isabelle Huppert plays a victim. However, after seeing her Michèle Leblanc it`s hard to distinguish whether she is a good or the evil. But that part, of course, I will leave it up to you to find out, since the film is opening in Toronto this Friday. During the Toronto International Film Festival, Isabelle Huppert kindly finds a few minutes to join a round-table where she kindly answers to most important questions, I believe, you would love to ask her, if you would get a chance. MOVIEMOVESME: What was your analysis when you first heard of Michèle Leblanc? Isabelle Huppert: I don’t analyze her; she’s a very complex person. I don’t think she analyzes herself as things go by. Something happens to her and she very intuitively, I would say, doesn’t want to be a victim and she wants to turn into something different. She reacts in a very unpredictable way. To start off, she orders sushi straight away, which is very strange. The script is very close to the novel. It’s about exploring someone’s dark side to their psyche. Meanwhile you’ve got a whole portrait of someone’s life. It made the character very rich and it makes the movie very deep and very complex. MOVIEMOVESME: What was your reaction to the story when you were first approached? Isabelle Huppert: I just thought it was a wonderful world; that was my reaction. I think that day by day when I was coming to set I didn’t know what I was going to do; it was my way of acting. In details, I had nothing to predict; acting and movies is all about the present moment. The situations were strong enough and different; I had so many things to deal with every day, every frame and that made the whole role very rich. There was a possibility for me to go nuance by nuance because I just had to follow the story. MOVIEMOVESME: What is your opinion of when she meets Patrick and realizes that this is the guy who raped her but still allows to get deep into a relationship with him? Isabelle Huppert: I don’t think I’ve much more to say than what has been shown on screen. I don’t have any opinion about that you know, certainly not any judgment. You witness something reacting in a very unusual way; as I said you see her taking you somewhere but not where you might’ve expected. But at the end of the day she certainly takes you somewhere. I don’t want to unveil the ending because it’s all there. That final moment makes you go backwards and makes you watch the whole film in a different way. MOVIEMOVESME: The character is so completely opposite to the character you play in “Things to come” where everything is hidden and so controlled. I hope you didn’t shoot those at the same time. Isabelle Huppert: I shot them one after the other but I won’t say it’s completely different because in both cases you’ve got women who don’t want to be victims. Both women always stand, never collapse. It doesn’t mean they don’t get emotional but in both cases, they have great sense of humor, which may be my input, I don’t know. I think they do have something in common. But of course, Michelle’s character might appear more unsensitive in most situations. There’s such optimism in Mia’s character that it makes the movie worthwhile for me. MOVIEMOVESME: Michelle’s character is very fearless. Maybe she’s just fascinated and up to the task every moment in every problem. Isabelle Huppert: I think because she’s been confronted with violence before in her life through her father. She has a big big past on that matter. When she meets this violence, because probably of her past she doesn’t react in the usual manner. But again, it’s pure fantasy, it’s fiction. There’s something in violence that makes her react in a very sensitive way. MOVIEMOVESME: One major change from the book is that she is a CEO of a videogame company. Did that affect your decision to play the role? Isabelle Huppert: I would’ve taken the role no matter what, even if she was running a grocery company or whatever. But it was certainly more telling that is why they decided to change her profession. It’s more visual and something more contemporary to the environment. MOVIEMOVESME: The scene where you’re fighting with the young man and basically millennials trying to come and redo the work of your character. Those connections, do you see them in the film industry? 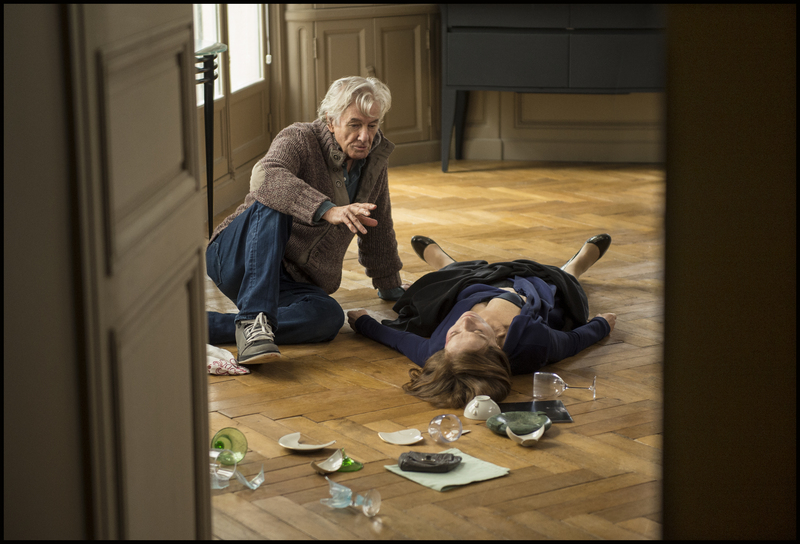 Isabelle Huppert: Yes, in Verhoeven’s we see how he tries to manipulate her. In Mia’s film one would think in a thinking world you would avoid these kinds of setbacks. It’s a very negative statement. But I don’t see that in my own profession, in the film industry. I work with very young people like Mia and yet I think we belong to the same kind of family. We have a great deal in common. I’ve done many, many first-time director’s film. So, I can’t say I’m confronted to that in the same way. MOVIEMOVESME: Your children and your siblings have become a dynasty now in acting. Isabelle Huppert: My daughter is a wonderful young actress. We did a movie together called Copacabana directed by a French director. My older son and I are running a cinema in Paris that I own. It’s a wonderful, old movie house where we would run old films. MOVIEMOVESME: How was it working with Paul Verhoeven? Isabelle Huppert: It was wonderful, it was just pure joy. He was so smart, so delicate, I felt completely in tune with him. We had extraordinary chemistry; he wouldn’t say a word to me, he never really directed me. It was completely mutual and silent chemistry and it was great.